Did you know that you can bake a beautiful loaf of bread without an oven? Why heat up the entire house when you can just plug your slow cooker? 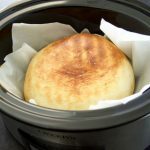 This soft Herbed Crock Pot Bread Recipe is super easy to make, delicious, and it does not require any rising time. 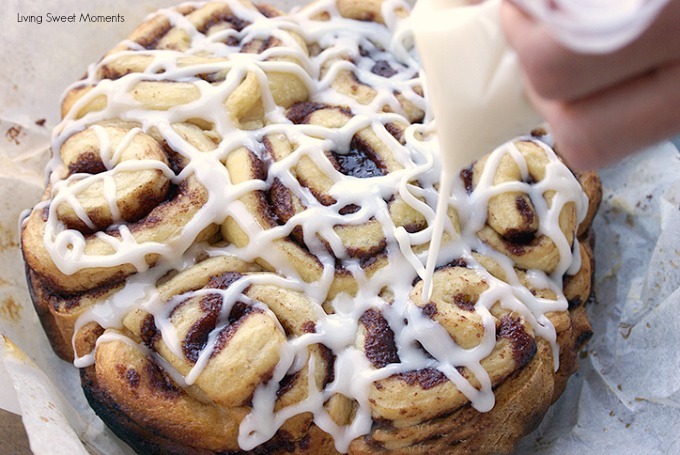 Just knead the ingredients in the mixer and place in your machine. How cool is that? I gave my bread more flavor by adding fresh thyme leaves but you can certainly switch it out for rosemary, cilantro, parsley, etc. Not a fan of herbs? simply omit them. Keep in mind that this bread bakes up soft and springy. It is not like the crusty bread I baked HERE. It has a roll like texture. Perfect for spreading butter, jam, or making delicious sandwiches for the lunchbox. Imagine you’re baking up a lasagna in the oven and you want to serve with a fresh loaf of bread. Since the oven is busy, what to do? Use the crock-pot! To make the top brown I threw my loaf in the broiler for a couple of minutes, but that’s totally optional. 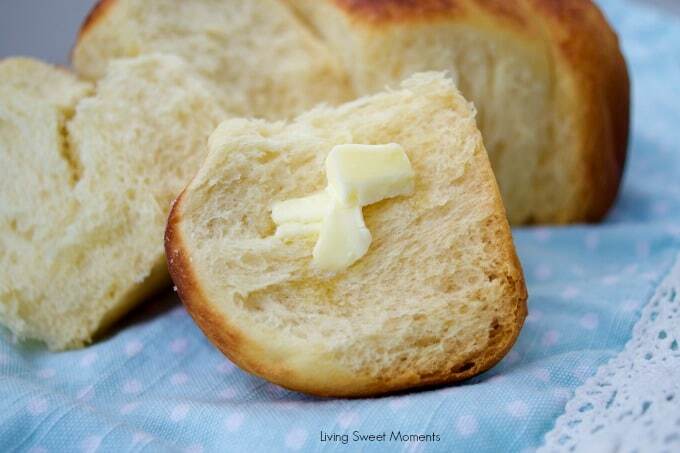 The fact that in less than 90 minutes you can enjoy fresh bread from start to finish is priceless. Sometimes the easier a recipe gets, the more likely you’re going to make it. Again and again. 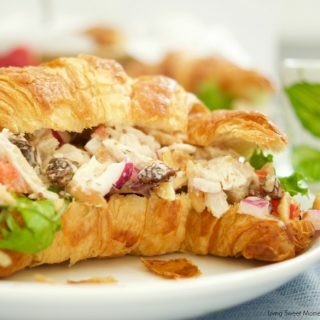 And since I enjoy baking bread, this recipe will definitely be made every week. 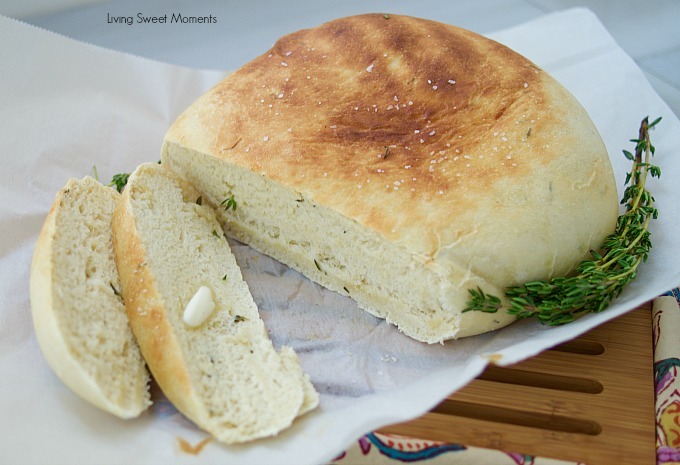 hope you can try this delicious Herbed Crock Pot Bread Recipe at home. If you do, please upload a pic on Instagram and tag me @Livingsweetmoments or use the hashtag #LivingSweet. I promise to repost it. This bread is seriously amazing. If you don’t have a crockpot, you should actually purchase one for the sole purpose of making this bread. I halved the honey, accidentally the first time, and preferred it less sweet. My children and husband said they liked both ways. I used dried rosemary because I was too lazy to go to the store and buy fresh (I just crushed it a little) and I rubbed the top with olive oil before cooking in the crockpot. The broiling is a must in my family’s opinion 🙂 Thank you so much for posting this recipe. My family requests it at least twice a week! That’s awesome Brianne! thanks so much for your valuable feedback! I’m so glad you and your family like it. What if I only used 1 teaspoon of salt in batter and no salt on top? Do you know if this would work with GF all purpose flour? Is there anyway this could be made without a mixer and bread hook? Hi there. This recipe sounds amazing, but I don’t like sugar in bread. Will omitting the honey and sugar be problematic? Hi Jo! The bread is actually not sweet. They just help develop the yeast. You can omit the sugar, but leave the honey. Do u preheat the crock pot? Do u bake this starting on low and then on high? No Arcie, no preheating is needed. It won’t affect the baking part Lisa but without the salt, the bread will be a bit bland. Hi Beth, of course, you can. Let me know how it comes out! How about starting it in the bread machine? Hi Julia, I honestly never used a bread machine before so I don’t know. If you just want to use it to knead the dough that would work. Can’t wait to try this. Did you chop up the rosemary once you took it off the stem? I do Monique! so it gets more evenly distributed in the dough. Let me know how it comes out! If I don’t have parchment paper would you recommend spraying the bottom of the crock pot or perhaps placing a silpad on the bottom of the pot? Thanks! Thanks for the quick reply! Getting g ready to throw it in the pot now! Yum! let me know how it comes out! What size of crock pot do you recommend? Thank you! Sorry about the repost! What size of crockpot do you recommend? Would you recommend prepping several loaves and then freezing the dough? Hi Brianna! I honestly am not a huge fan of freezing the raw dough. It can affect the texture and rising times of the finished products. I usually freeze bread right after are ready. Is the total amount of yeast 2 1/4 tsp? I don’t have packets so I’d have to measure. Glad you liked it, Linda! 🙂 It’s funny how using a slow cooker “speeds” up the cooking since there’s no rising needed. I made this bread today, oh my goodness was it ever delious! I only had dried herbs, it was still good. Next time l’ll add roasted garlic, asiago cheese & not add any sugar. My bread took 2 & 1/2 hrs to bake, once it reached 200 degrees, l put it under the broiler. 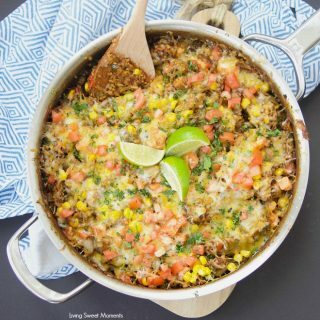 Thank you for such a great recipe ? Thanks for your feedback Carolyn! 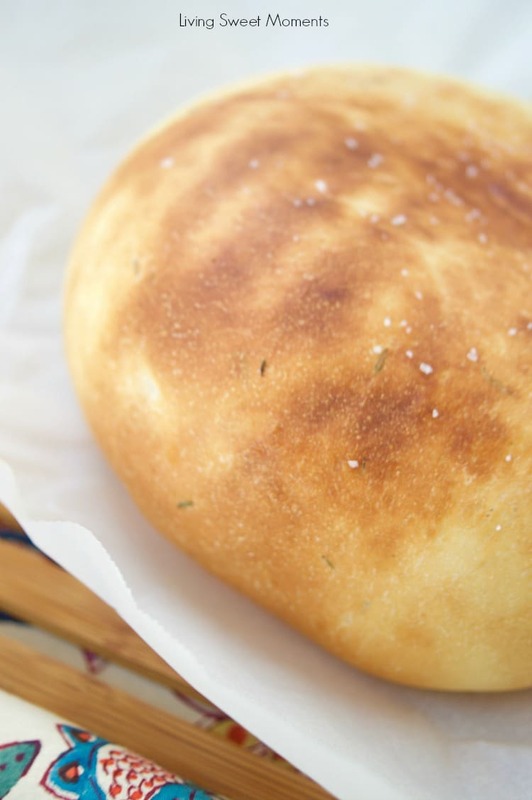 Roasted garlic and asiago cheese sound like an amazing idea to go with this bread. I’ll definitely try it with those! Not sure what happened. I made the bread as described but the dough is still raw after an hour of baking. I would appreciate some help! Hi Leah, maybe your slow cooker is an older model. Leave it on for 30 more minutes and see. I m a newbie n do not know what went wrong. Bread was as hard as stone. I used water on the hot side. Substituted honey for maple syrup. Normal cooking oil as i dont olive oil. Hi Jan! I think the water was too hot and it killed the yeast. 🙁 When baking bread, water needs to be warm, not hot, like you would fill a baby’s tub. Thanks for your feedback Desiree! Dried basil and garlic sound like an awesome combination! I made this today and it it amazing!!! One question though… how many serving does one loaf contain per the nutrition information listed ? Thank you for this recipe. 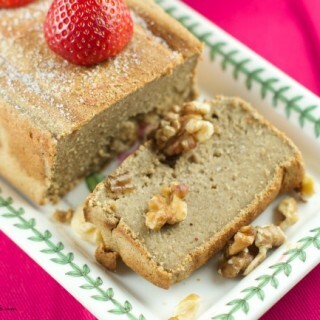 It seemed so easy and actually it was, until it came time to bake it. I had my IP out and thought I would try to do it on the slow cooker function…on the Power Pressure Cooker, it says “low temp”. Then I couldn’t figure out if it should be pressurized or not and realized that I would be cooking without water…and instructions say to have at least 1 cup of water for all recipes. So I took it out and put it into my slow cooker, set on high for one hour. When I checked it, it was not cooked as the top indented when I stuck my fingers into the dough. I needed it for dinner and so put it in a 375 deg oven to cook for 1/2 hour. It was quite beautiful and the family really loved it. The only thing was that there was a layer about 1/4″ thick that seemed like it was compressed dough.at the bottom of the loaf. At first I thought it was caused by the switching of cooking devices but I noticed that in your pic, there seems to be a thin layer that looked similar to mine, at the bottom of the loaf. But the rest of the loaf had a great texture, dense but soft and flavorful even though I left out all the herbs and made a plain bread. I am anxious to try the bread with rosemary and garlic. This time, I will make sure I have at least 2 hours for cooking and cooling time.. Thanks again. Hi Diane! Thanks for your feedback. I actually cooked it in a slow cooker, not the IP function of the IP. For future reference, when using the IP to slow cook, you do not need to add the cup of water since the machine does not need to come to pressure. This is my go to recipe for bread to go with supper. I love that it doesn’t take all afternoon to make. I did leave out the herbs because of my kids’ pickiness. Maybe sometime I’ll try adding garlic to it for more of a garlic bread. I really like how quick the recipe sounds to make. Have you ever just baked it in the oven in a loaf pan? If so, how long & what temperature? 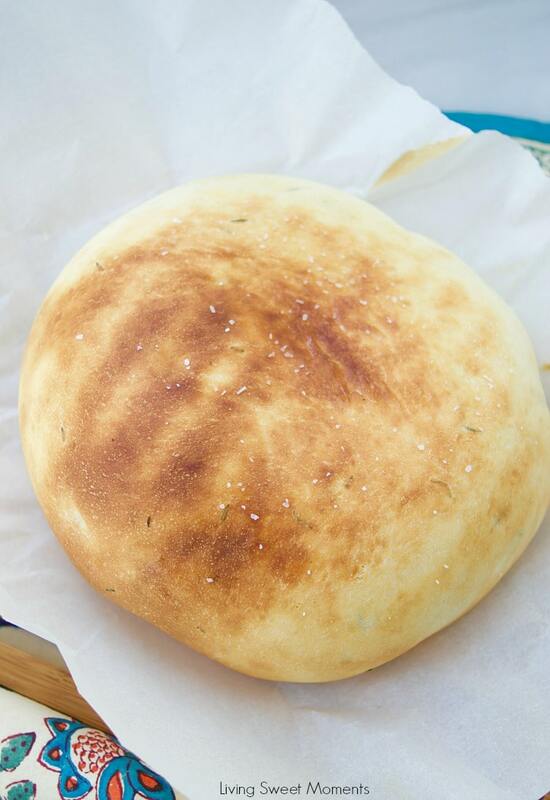 If a round loaf is desired, you can bake a loaf in a round cake pan or springform, or even a cast iron pan. A dough that is sturdy enough can be shaped into a ball and go on a baking sheet. Sprinkle the pan/sheet with cornmeal for a toasted cornmeal bottom that releases well. The crust will depend on the pan and the humidity in the oven. 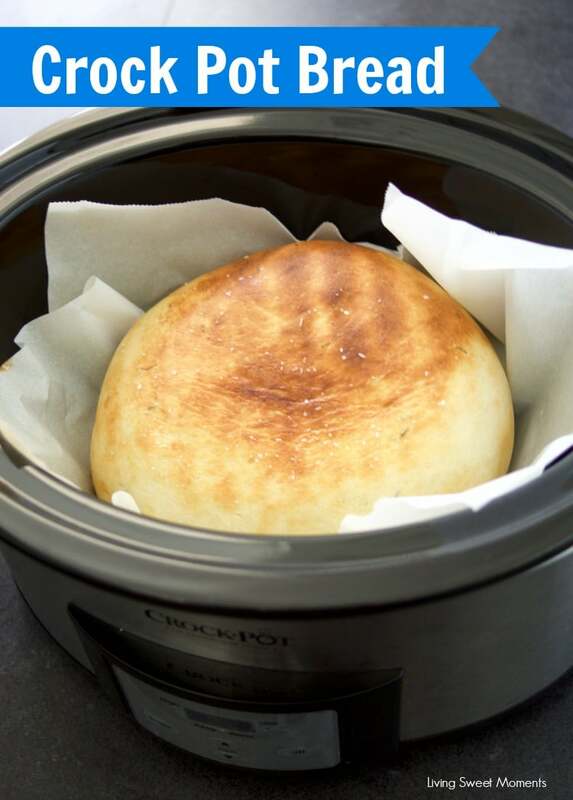 Preheat the oven to 350 degrees F.
I have never tried a slowcooker bread, but will try this soon. I am very curious! thanks for the info Margaret! I can’t wait to try this recipe but I noticed that my crock pot is a four quart. 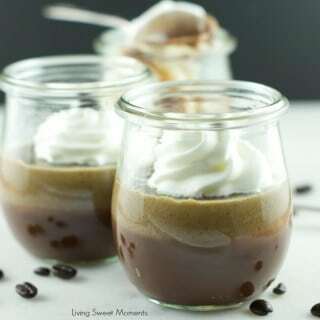 Do you think that size would work for this recipe or would it be too tall or large. Thank you. I’m sure it would work Carolyn! Ever tried this as a sourdough recipe? Can I leave out the honey? I really want to make this, but my husband can’t have honey. My mom doesn’t eat oils. 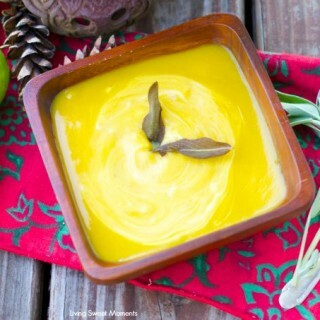 Can I use something else to substitute for the olive oil?